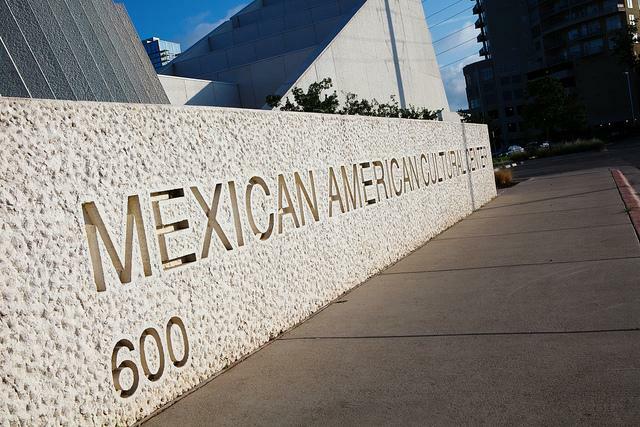 The proposed sale of a plot of land on Rainey Street, next to the Mexican American Cultural Center (MACC), has likely been taken off the table. As KUT News reported earlier this week, a private group of investors had offered to buy the parcel and build a parking structure; today, the council was set to consider offers for the land. The MACC’s board of directors protested that it was never consulted about those plans, which it said would impact the MACC’s view and future plans for the area. The Austin City Council will consider Thursday whether to authorize an agreement with Capital Metro to spend $5 million for urban rail planning. The bulk of the money ($4 million) will come from a federal grant that requires a local match of 20 percent ($1 million). So why spend such a large sum when previous money hasn’t produced any visible results? That was a question raised by council member Bill Spelman at council’s work session Tuesday. “A lot of people are concerned that we are putting the cart before of the horse,” he said. “We are spending four million dollars when we really haven’t decided what to do”. In May, the city released recommended routes for the first two phases of Urban Rail. Robert Spillar is the director of the city’s Transportation Department, and he sees the release of the money as the next step. At Tuesday’s work session he said getting the city’s stamp of approval would allow the Transportation Department to “restart” the alternatives analysis. 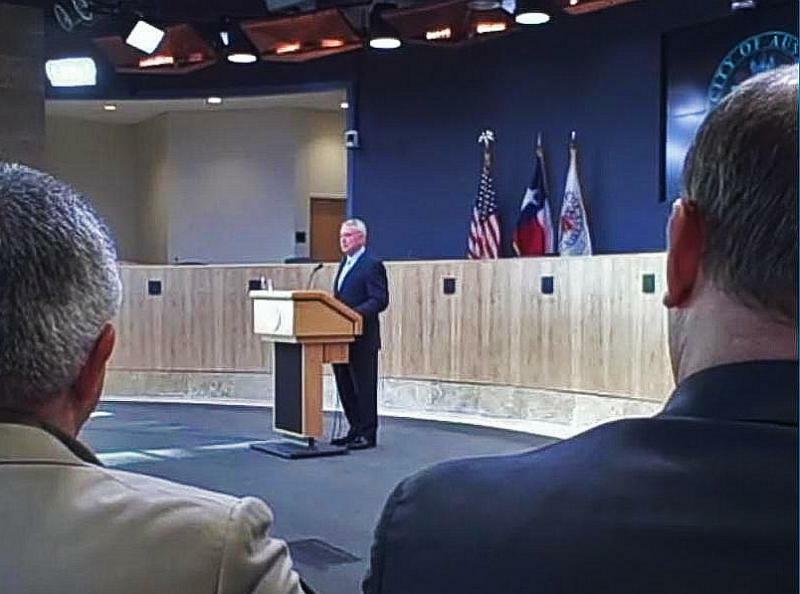 Mayor Lee Leffingwell announced on Friday that he opposed putting urban rail funding before voters in 2012 – a move that effectively nixed rail’s funding chances in the November bond election, and raised another round of hand wringing over transportation solutions for Austin. 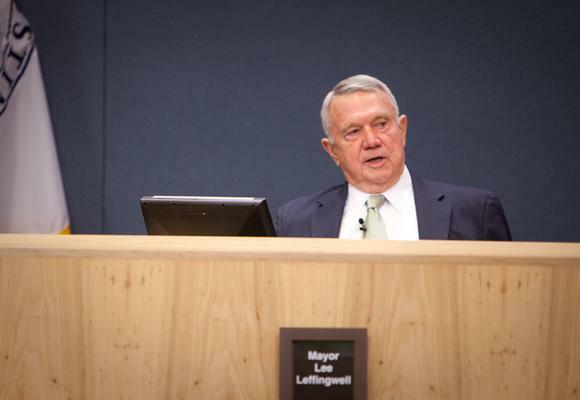 KUT News spoke with Mayor Leffingwell shortly after his announcement. KUT NEWS: I doubt there was any one variable that lead you to your decision, but what were your reasons? Lee Leffingwell: It’s a whole bunch of things coming together, but underlying it is, we have not yet answered some of the basic questions. We might have an answer prior to November, but time is running short to get the complete picture in place and to be able to go out and market it. Because you don’t just put this on the ballot and go away and hope for the best. You’ve got to really present it to the public. There’s a full education process that goes on with something like this. You have to go out and explain it to people. Citing timing and financial constraints, Mayor Lee Leffingwell is arguing funding for Urban Rail shouldn't be put to voters this November. In a post on his website, Mayor Leffingwell writes "we do not yet have a sufficient level of certainty regarding a plan to fund and manage operations and maintenance of an urban rail system. We also do not yet have the degree of certainty that I would like to see as it relates to a prospective federal funding match for construction costs, which is a fundamental need." He also notes that in addition to potential rail funding on the ballot this November, "we are also poised to ask [voters] to approve a host of other critically needed bond investments." On paper, the Austin City Council’s urban rail work session this morning was devoted to rail investment options. While the council discussed funding – including a worst-case scenario where the city collected bond dollars, but no matching federal grant – the proposed rail route received another vetting. Those federal dollars – or lack thereof – were the subject of discussion. For all we know, our Austin City Council members – like most the rest of Austin – got in some rest and relaxation over Memorial Day. Here's hoping they did, as despite the absence of a regular council meeting this Thursday, today brings two high profile work sessions on hot button topics: urban rail, and Austin Energy rates. Urban rail is up first, at 9 a.m. Last week, the council received its first detailed briefing on funding schemes the city’s considering to pay for the first recommended phase of rail. 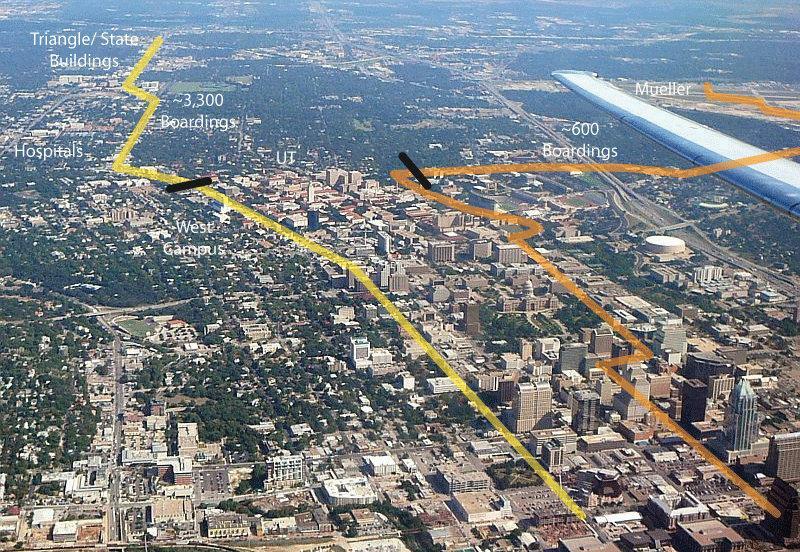 That first phase would serve downtown, the Capitol Complex, the University of Texas, Hancock Center and the Mueller development. The Bond Election Advisory Task Force has continued to refine a potential bond package to send to Austin voters this November. The latest iteration of the proposals comes in at $400 million. That's down from an initial $1.5 billion department-wide “needs assessment,” then packages valued at $650 million and $575 million. 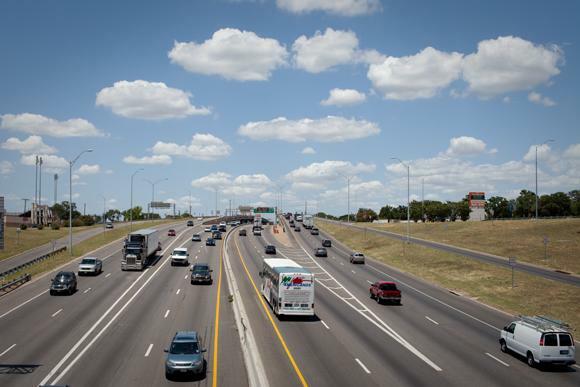 The Austin City Council will eventually choose the projects that make it to voters. Funds are organized under the following categories: affordable housing, city facilities, community-based projects, parks and open spaces, and transportation and mobility. 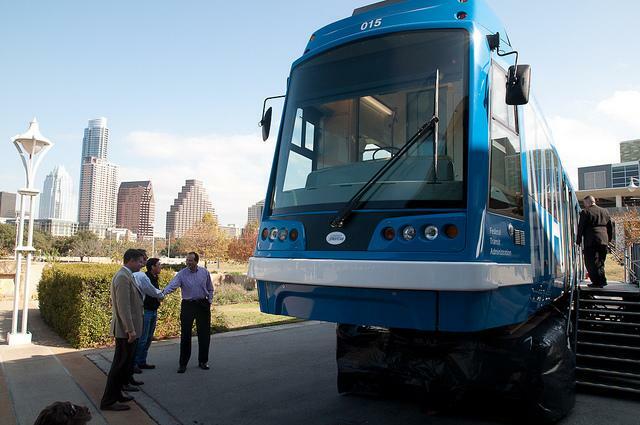 What’s the estimated cost of Austin’s first urban rail investment? $550 million. That was the price tag the Austin City Council heard in a work session this morning. Assistant City Manager Robert Goode said some $550 million was required to build the first proposed phase of urban rail, from the convention center through the UT-Austin campus and on the Mueller neighborhood. And while the Federal Transit Administration’s New Starts funding program could cover roughly half of that, rail consultants said the city would need to cover the other $275 million, likely in large part through a bond election – should council place it on the ballot, and voters approve it. Austin’s urban rail plans will take a major step tomorrow when a preliminary funding and phasing plan will be outlined during an Austin City Council work session. The Austin Transportation Department sent out a memo last Thursday outlining initial phases of investment for urban rail. The first proposed phase would serve Downtown, the Capitol Complex, UT, Hancock Center and Mueller. Phase Two would cross the river and head down Riverside Drive to Pleasant Valley. Image courtesy Austin Transportation Department. 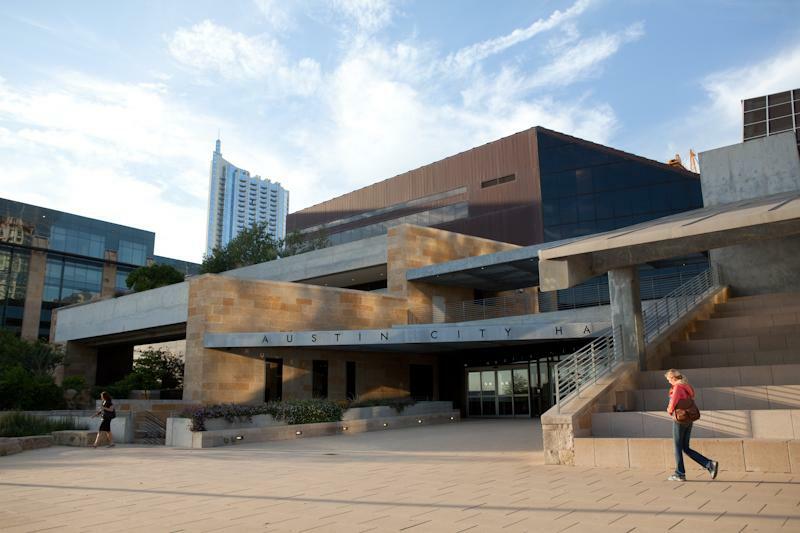 The City of Austin Transportation Department says the first phase of a new urban rail system should run from the convention center downtown, through the UT-Austin campus, and on to the Mueller neighborhood. In a memo released today, the department also laid out a path for a second phase going south of the river. That route would head south from the convention center, across Lady Bird Lake and then run along East Riverside Drive to Pleasant Valley road. 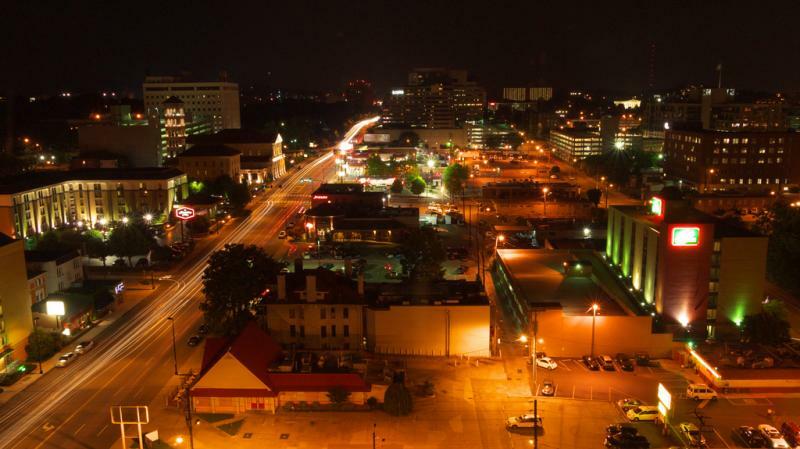 What Can Austin Learn About Rail From Other Cities? As Austin has grown in size and prominence, so have cries for a more robust transportation system. Our mayor has repeatedly called for a vote on an urban rail system to serve the city's core, and the city has received tantalizing glimpses of what rail cars could like in Austin. What Austin hasn’t had in earnest is a close examination of how other cities have implemented rail systems. That may change somewhat this week, with a delegation of a transit authority leaders from six western cities – Dallas, Denver, Phoenix, Portland, Salt Lake City and San Diego – assembling in Austin for discussions at two events. As Austin considers an electric urban rail system to shuttle people around the central part of the city, Nashville, TN - a city of comparable size - is abandoning its electric street car plan in favor of bus rapid transit. The reason is mainly price. 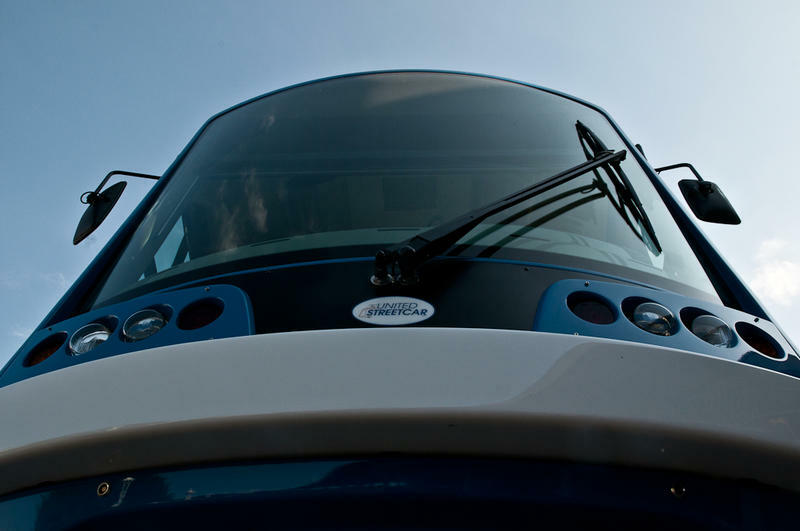 A study by New York engineering firm Parsons Brinckerhoff found bus rapid transit would cost $136 million, compared to $275 million for streetcars, Nashville Scene reports. "Bus rapid transit is by far the most compelling case we've heard," Nashville Mayor Karl Dean told the newspaper. Here in Austin, the city is considering a series of bonds to pay for an urban rail system that could total $1.3 billion dollars. Capital Metro is also working on a bus rapid transit plan, currently scheduled to launch in 2014. CapMetro promises limited stops, boarding from all doors, bus stops with real-time bus arrival information, and buses that have some control over traffic lights. As if awaking from a two year hibernation, a sub-committee of the Capital Area Metropolitan Planning Organization (CAMPO) held its first meeting this afternoon with a new leader and new members. The Transit Working Group (TWG) was restored in time to prepare for Austin’s soon-to-come vote on an urban rail system. The working group was first established in 2007 under Austin Mayor Will Wynn. He decided the city needed an urban rail or street car system. But nothing really came out of it. Now, Mayor Lee Leffingwell is leading the TWG. “The big difference between this group and the one of that before is our focus is going to be regional,” Leffingwell said. People got a chance to climb aboard the possible future of Austin's mass transit system on Thursday. Kinkisharyo, a Japanese-based streetcar manufacturer, is taking its new prototype on an American tour. The streetcar runs on a combination of power from batteries and overhead wires, storing energy when the train brakes and eliminating the need for overhead wires in parts of the route, Kinkisharyo project manager Bill Kleppinger said. Travis County Justice of the Peace Precinct Two Judge Glenn Bass is recalling about 13,500 outstanding arrest warrants for class C misdemeanors. Judge Bass said he is recalling the warrants because he learned that the constable for Precinct Two was offering payment plans to some defendants, but not all of them. Bass also said the constable's office has slowed down working on the warrants because it has already met its budget for this year. The state’s environmental agency has awarded the Lower Colorado River Authority a permit to capture water from the Colorado River downstream of Austin during heavy rains and floods. The water would be stored in reservoirs that would be built in Wharton, Colorado and Matagorda Counties. Many growing Central Texas communities, including Austin, buy their water from the LCRA. 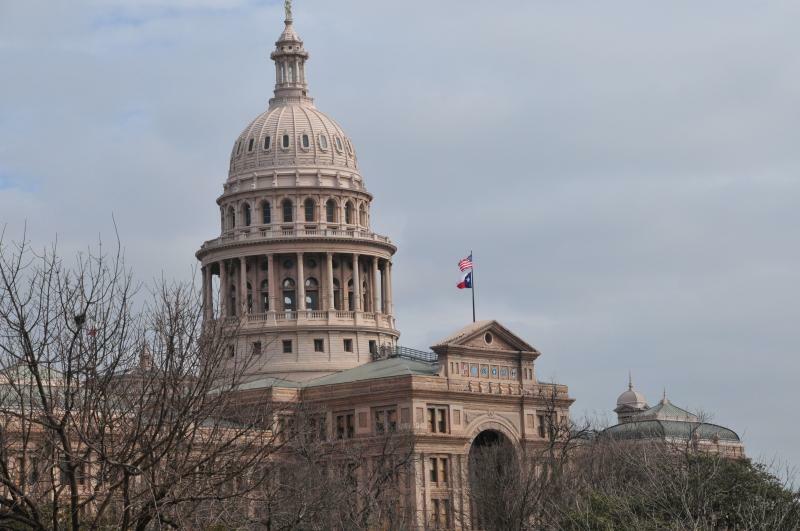 The Texas House will take a final vote today on a bill that would ease graduation requirements for Texas students. Starting next year, high school students are required to take a total of 12 end-of-course exams called the State of Texas Assessments of Academic Readiness (STAAR), and they have to pass the exams in order to graduate. In the bill the House will vote on today, high school students will have to pass fewer of the new state exams in order to graduate. It was a packed house at Austin City Hall this morning, as Mayor Lee Leffingwell gave his state of the city address. KUT’s Mose Buchele reports a lot of what the mayor talked about could be labeled, "Coming Attractions." 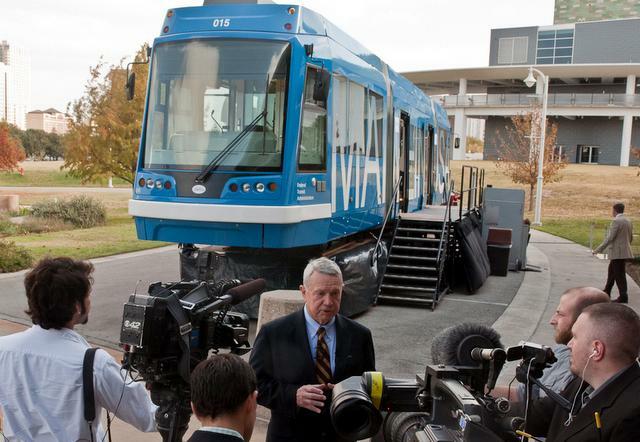 The City of Austin showed off an urban rail car at the Palmer Events Center today. The vehicle is already being manufactured for the cities of Portland and Tuscon. 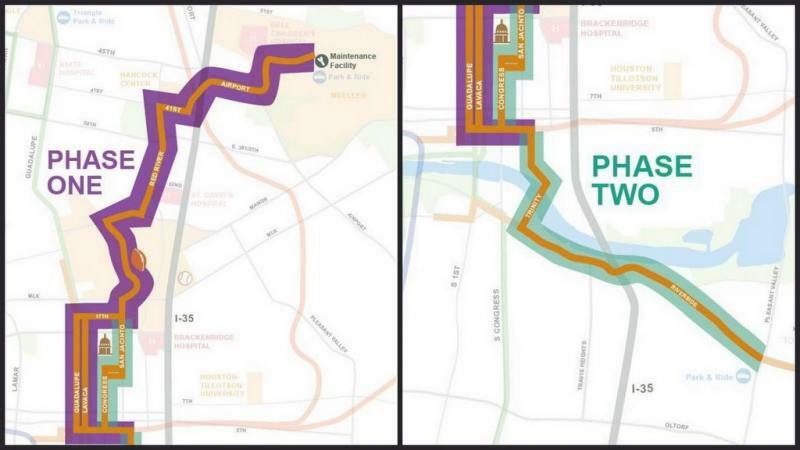 It’s part of the ongoing campaign to get Austinites on board for an urban rail line that would run from the Mueller neighborhood through downtown to the airport. Building the line would cost $1.3 billion, and city council is considering asking taxpayers to approve a bond package in 2012.